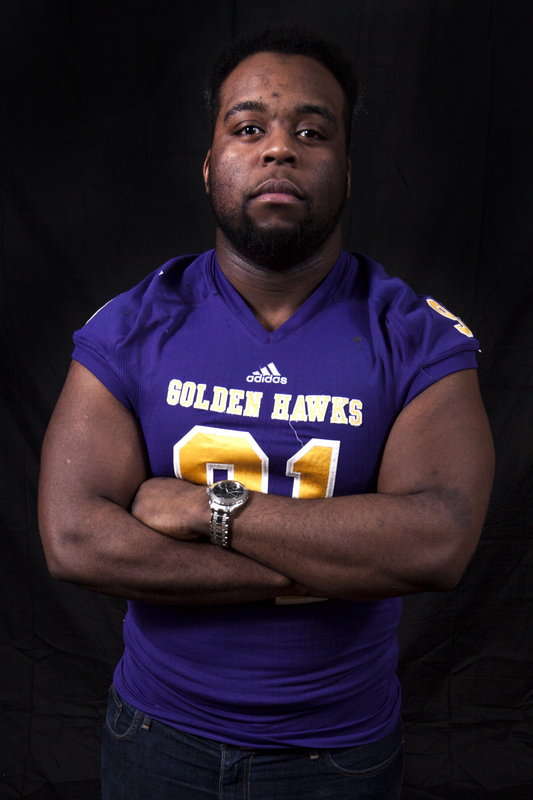 With dreams of professional football in their minds, five Golden Hawk fourth-years will set foot to the Canadian Football League’s regional and national combines later this month. Running back Dillon Campbell, defensive back Chris Ackie, kicker Ronnie Pfeffer and defensive linemen Asante Mizan and Ese Mrabure-Ajufo of the Wilfrid Laurier University football team were the lucky recipients of invitations. The combines will allow the fourth-year players the opportunity to showcase their talents in front of a bevy of CFL scouts and executives. 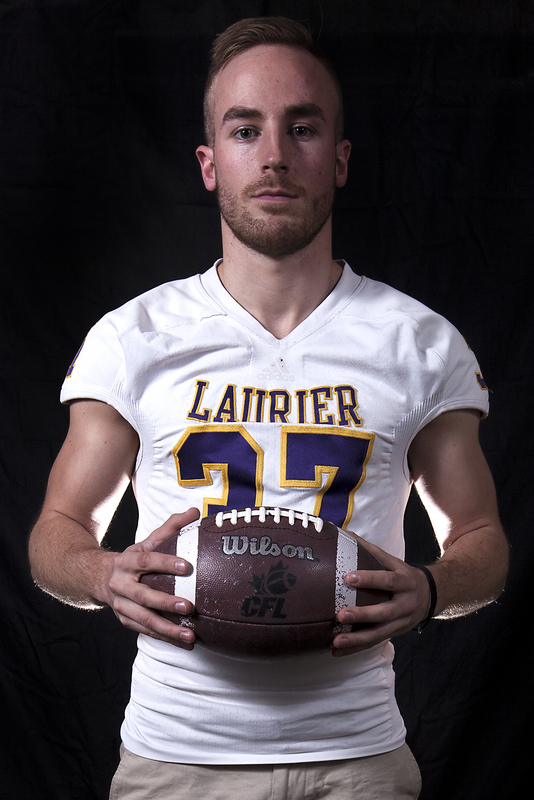 The five invitations represent a remarkable accomplishment for Laurier football. 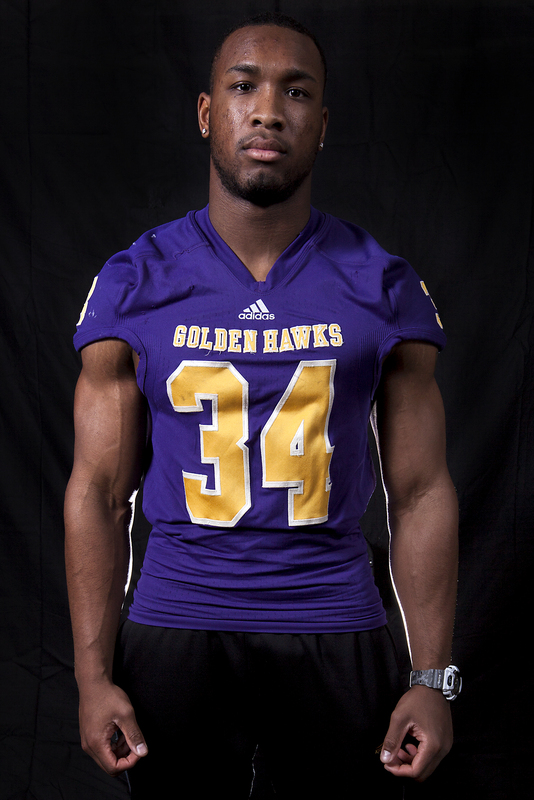 However the selections may bear even greater significance as a symbol of how far a group of tightly-knit teammates have come since entering the Golden Hawk program four years ago. Mizan and Pfeffer will be attending the regional combine on March 26 in Toronto, in hopes of joining their teammates on the national stage from March 27-29. “You come into your first year and leave with the same group of guys you’re really friends with – not just guys you’re in the locker room with — but really close-knit friends,” said Mizan. Pfeffer, who notched 18 field goals and had an average punt distance of 42 yards this past season, agreed with his teammate. The Golden Hawks finished with a 4-4 record on the 2014 season which, while unspectacular, marked the program’s best finish since their 4-4 mark in 2011. While battling through those difficult years, the players felt they were motivated to work harder and shape themselves into the players they are today. “Everyone had bad feelings or bitter feelings about what happened with the 1-7 2013 season. We put a lot of working into the off-season … trying to get better and better because you knew when it came to overtime situations or close games it would pay off in the end,” said Mizan. Chris Ackie, a first-team all-Canadian and one of the leading CFL prospects in the nation, finished the year with 48.5 tackles. He spoke of the mindset the team had this past season. “Even mid-season last year we knew we had the potential. We knew we were a young team, we kept working, we played some of the best teams in the country tough,” he said. With combine events taking place later this month, the Laurier invitees have much time to reflect on the opportunity they are faced with. For Ackie, the invitation is a sign his dreams are close to coming to fruition. He has been on the lists of scouts across the country and below the border for the past year, and finally is starting to see the light at the end of the tunnel. “I expect a good performance. I’ve been training hard for months and I feel like I’m ready. I’m ready for this — I’ve been waiting for it for my whole life,” he said. 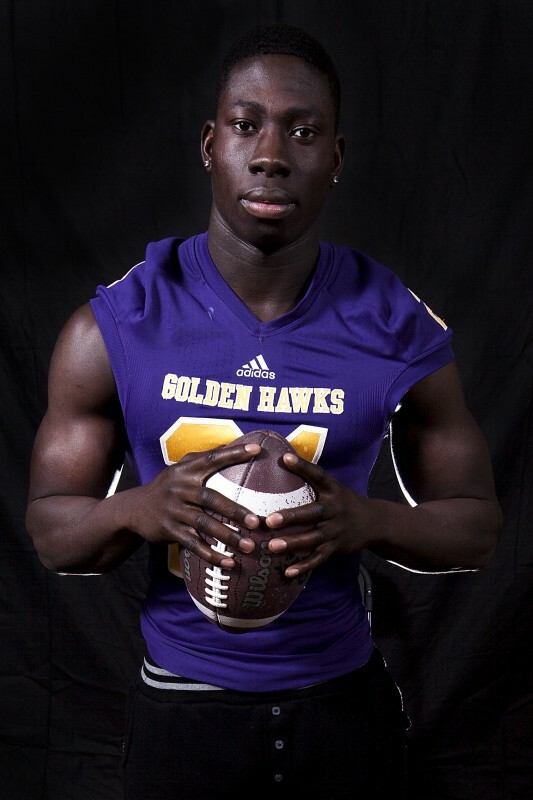 Mrabure-Ajufo feels that, while his selection is a great personal accomplishment to add to being named 2014 second-team all-OUA, he still has much more work to do before he realizes his goals. “You always strive to be better than you were before, and I believe I did that,” he said. Mrabure-Ajufo closed his 2014-15 season with 25.5 tackles and Ontario University Athletics’ fifth-best 5.5 sacks. Dillon Campbell, Laurier’s star running back and the newly minted OUA most valuable player, already has one combine under his belt — the National Football League Regional Combine in Baltimore, Maryland. His 867 yards were good for top spot in the league this past regular season. Armed with this experience, Campbell was succinct when asked of his expectations for him and his teammates. “One word: excellence,” he said. 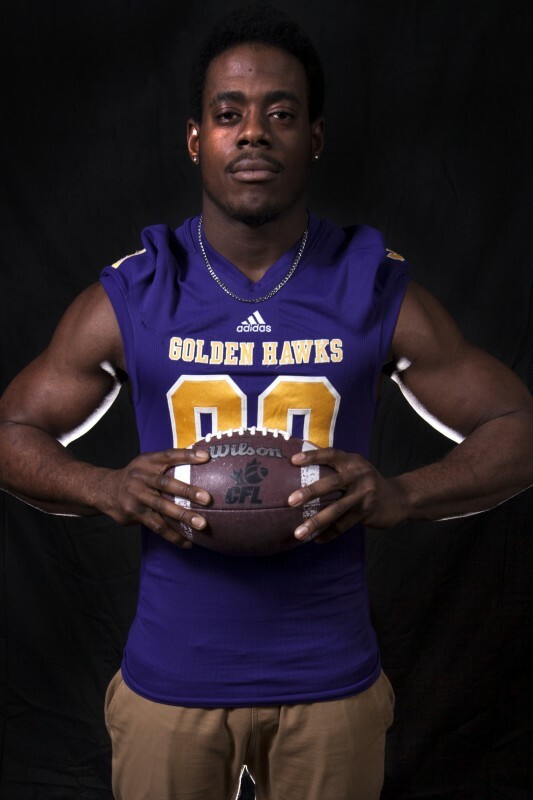 It’s that type of standard that has brought the Golden Hawks success in the past year, and a standard they will hope to show the country in the coming month.